Carried on the wind, the Catchii leaf travels the world in search of inspiring places. When it finds them, it drifts to the ground and captures the spirit of the area’s individual charm. The wind then lifts it back to the skies, on to its next destination. The Catchii leaf drifted down on the lush gardens of South Africa. It was here where Catchii unwound after a long day and found inspiration to create this collection. Overwhelmed by the abundance of natural beauty and charm, Catchii wants to make you curious about the rich diversity of the indigenous plants, insects and birds of South Africa too. Enjoying the grace of the tiger butterfly. Wondering about the coloured feathers of birds who are flying over. Catchii loves sharing these impressions with you. 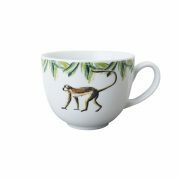 Enjoy the unique finds from the South African garden, illustrated on your homeware. 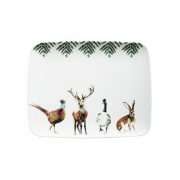 Catchii Homeware products enliven family meals and are guaranteed for wowing guests at festive occasions. From breakfast to soirées. The colorful designs also look great displayed as wall art. Catchii brings color to your home and adds charm to your interior. Having spent a number of years as a marketeer in multinational corporations, in 2014 Femke Zwaan decided to pursue her artistic dream of establishing the Catchii homeware brand. She had already been painting pictures for a long time. It was only at the point when her home was completely full of canvasses that she hit upon the idea of painting ceramics. 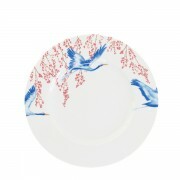 As demand for these products increased to a level where she was working through the night to fulfil orders, she teamed up with a screen printer who made it possible to accurately duplicate her detailed and colourful illustrations onto higher volumes of tableware. 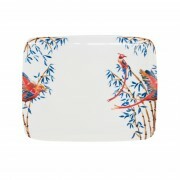 With this, the first commercially available Catchii homeware collection came into being. In addition to being the woman with the paintbrush who defines Catchii’s look, Femke Zwaan also works as an interior designer. 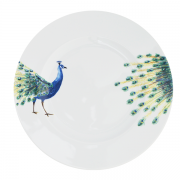 With Catchii’s colourful tableware she’s taking her dream of inspiring happiness one step further, spreading cheerful design beyond furnishings onto the dining table, for a complete interior boost.